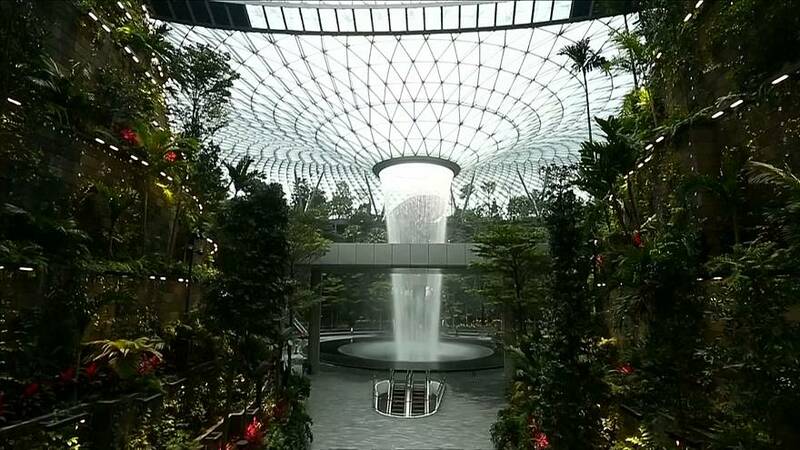 A new complex has been showcased at Singapore Airport. The Rain Vortex, a 40-metre-high waterfall that pours rainwater from the centre of a glass and steel dome is the extraordinary new addition. The 135,700-square-metre building is designed by Moshe Safdie, the architect known for the Marina Bay Sands complex, a landmark in the shape of a ship that has become synonymous with the Singapore skyline.